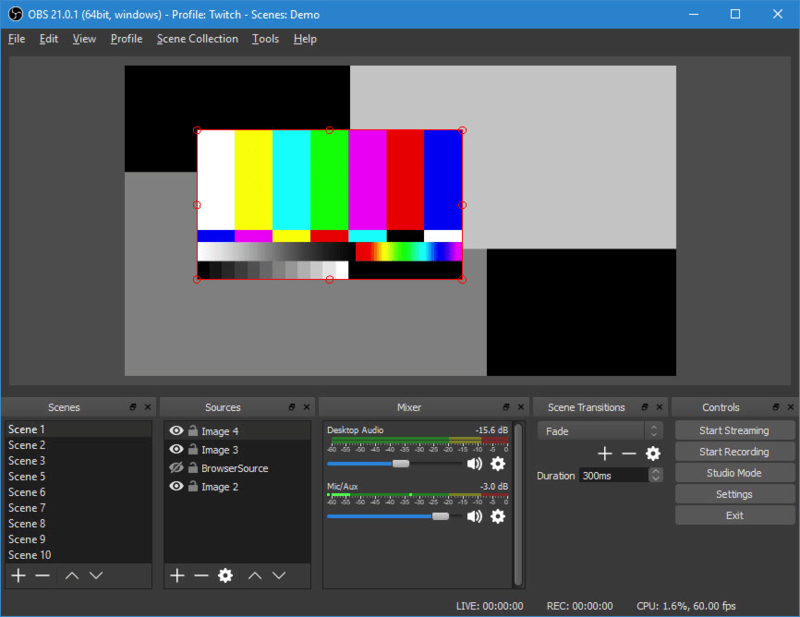 Open Broadcaster Software (OBS) Studio is a powerful and flexible screen recording and screencasting tool. The program includes real-time recording, broadcasting, and audio mixing and layouts. The "scene" system allows building custom input settings with numerous audio and video sources (multiple microphones, webcam, applications, screens etc.). Available filters allow for automatic, live filtering including crop, color correction, sharpen, chroma key, audio gain and more. Cross-platform with versions available for Mac and Linux. Alternatively, PortableApps' OBS Portable is also available. How to extract: Download the ZIP package and extract to a folder of your choice. Launch obs32.exe --portable or obs64.exe --portable (for 64-bit OS). @vmars316 - I checked and OBS Studio is QT-based rather than Electron-based (though a different project called Streamlabs OBS is). I've updated the entry. Well I am glad it is Electron-based . OBS Studio Portable 22.0.2 starts correctly on my clean Windows 7 32-bit and 64-bit virtual machines. Please post a bug report in the PortableApps.com forums with the complete details. OBS Studio v22.0.2 from portableapps.com does not start on My Win7 system. I've been using this for months to makeup for the failures or issues with screensharing programs like Skype and WebEx, which often have confusing or low quality audio recording functionality.